The Vocational Rehabilitation Act section 504 and The Americans with Disabilities Act (ADA) stipulate that post secondary institutions are responsible for providing necessary accommodations when a student discloses a disability. The institution is required to provide students with appropriate academic adjustments and auxiliary aids and services that are necessary to afford an individual with a disability an equal opportunity to participate in a school's program. Institutions are not required to make adjustments or provide aids or services that would result in a fundamental alteration of an academic program. Accommodations are reasonable academic adjustments or auxiliary aids that provide equal access to programs and services on an individual basis. 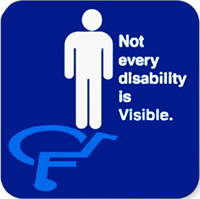 Accommodations are requested by a person with a disability and determined to be reasonable on an individual basis by an appointed representative, often, in a disability services office. Extended time on tests or taking an exam in a minimal distraction area are examples of reasonable academic adjustments. A student with a disability has a responsibility to initiate the accommodation process with the disability resource center or campus office if they wish to request a reasonable accommodation. The office determines whether the student is eligible for services and, if so, coordinates appropriate accommodations and services in consultation with the student, faculty and other professionals, as appropriate. All students must follow the policies and procedures and meet the graduation requirements of their particular program.